I ordered the product from the Larry King Commercials and tried for 3 months taking 4 pills a day as suggested. It was no change, no difference in my condition, so I called to cancel the product in October 2014. Due to the inefficacy, they shipped me another bottler free of charge and promised not to ship anymore product. This month, January 2015, I received another bottle of the product and found a charge to my bank account for the full price of the bottle. They did this without authorization, and I want to know if anyone else has had this happen to them. I am going to call and complain, but I believe it's a breach of trust and possibly illegal, to just reopen the account and charge me for the order without my authorization. Review #588139 is a subjective opinion of User588139. While I was browsing the web about this same situation me and my wife have endured during the past week. 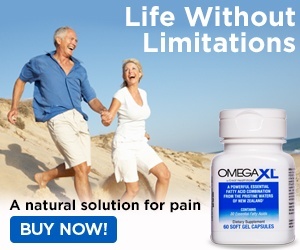 I find it very disturbing that the makers of Omega XL and it's representatives are pushing this product -- when you call in to cancel your order. I will be doing some more investigative research on this, thanks for posting this. Please follow up on what I find about similar situations that customers have about this ongoing problem. First rep could not locate my name in the system. There were chickens making all sorts of noise in the background. I asked what the noise was and he told me it was his ringtone. I kid u not. I asked where he was and he said the Phillipines. Still getting the bottles after 4 calls. Very frustrating to deal with.